Joy. It’s something many of us long for. It’s something we strive for. And now, it’s something we can wear! As moms, our journey is hard. It is never-ending. And sometimes, we let the workload steal our joy. Sometimes, we focus on our mistakes, our failures, and on everything that went wrong instead of seeing those stepping stones as part of our journey. We let the daily grind steal our joy, and a mundane Monday becomes anything but extraordinary. Don’t you want more? I do! Why? Because I believe God wants more for us than the mundane. 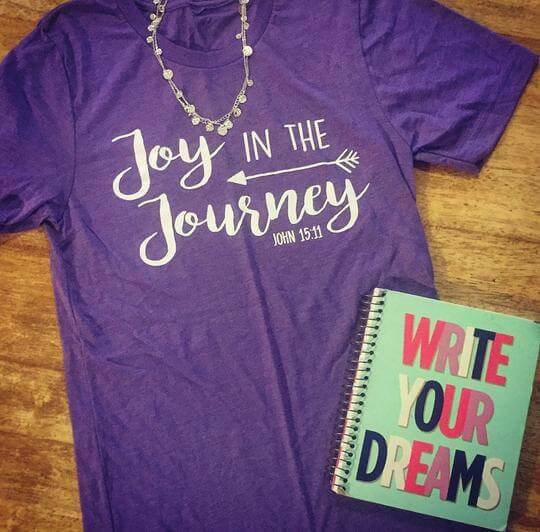 I believe He wants us to see the JOY in our journey. To embrace it. To live it. And to show the world HIS joy each and every day. That is why I created these t-shirts. 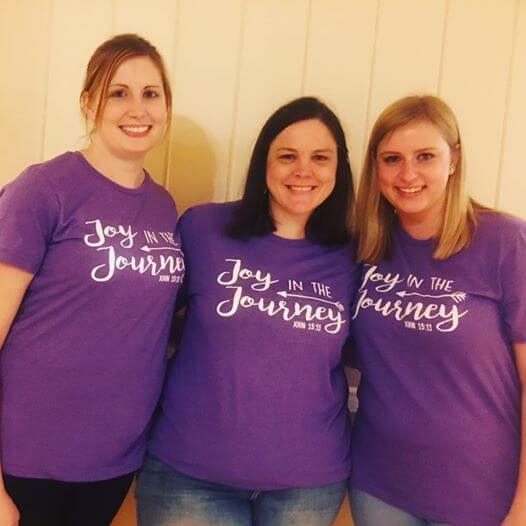 They are meant to be a reminder to focus on the JOY in our journey. To remember that we have a choice each and every day to make. What is that choice going to be? So, wear this shirt when you are having a mundane Monday. Wear it on a day where you KNOW your patience will be tested. Wear it on a day when you got little to no sleep the night before. 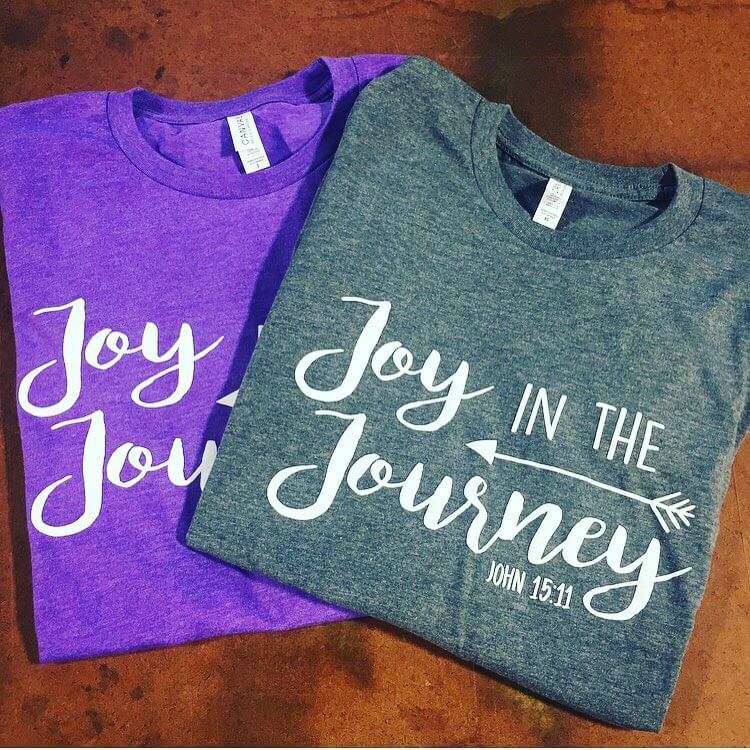 Wear it to show others the JOY you have in Christ! I hope in doing so that YOU will be encouraged and that YOU will be an encouragement to others! Shirts will be shipped anywhere in the continental U.S.
All shirts are packaged and shipped by me, so please allow 5-7 days for shipping updates. Like this shirt? 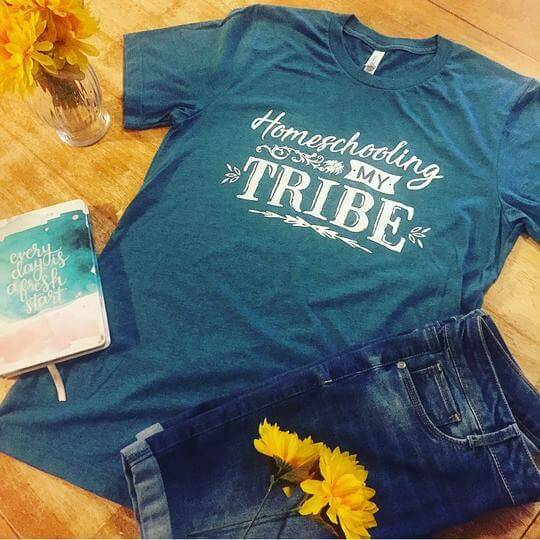 You will also LOVE my Homeschooling Your Tribe Shirt! Click the photo to learn more.